Make sure to strictly follow the manufacturer’s instructions for using the turkey fryer. Set up your fryer outside, away from decks, garages, and other flammable materials. It may be cold outside, but never leave the turkey fryer unattended. Avoid moving the fryer once it is set up. Only fry a completely thawed and dried turkey or a fresh turkey. 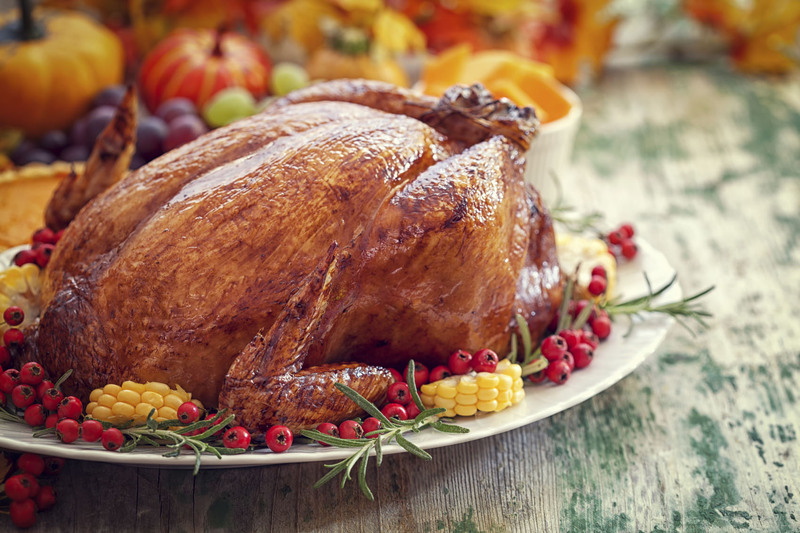 Water from a thawing frozen turkey can cause oil to overflow and start a fire. Do not overfill the fryer. Overfilling the fryer can cause hot oil to overflow, which can lead to fires and burns. Medium to small turkeys work best for frying, as big turkeys can cause overflow. If possible, purchase a fryer with temperature controls. If the temperature is not monitored on a turkey fryer, oil can overheat and start a fire. Keep a fire extinguisher on hand. If a fire does start, remember to never throw water on a grease fire. Fryers heat up very quickly. Use oven mitts and caution when handling the fryer to avoid burns from handles and the lid. In addition, protect yourself from oil splatters by wearing an apron and safety goggles. Raise and lower the turkey slowly in and out of the fryer to avoid oil splatter and burns.